Prior to forming Byrne & Nixon LLP in April 2003, Mark headed up the West Coast White Collar Practice at Paul Hastings’ Los Angeles office. Before that, Mark served for ten years as an Assistant United States Attorney, Criminal Division, in the Central District of California, investigating and prosecuting a wide variety of white collar criminal matters, focusing on financial crimes and public corruption. Mark has extensive jury trial experience in federal court, and has written numerous appellate briefs and argued many times before the 9th Circuit Court of Appeals. Corporations and individuals before federal and state grand juries and in federal and state court for alleged violations of fraud statutes, including insurance fraud, securities fraud, wire fraud, mail fraud, bank fraud, and defense procurement fraud. Doctors and other health care providers in connection with criminal health care fraud investigations and regulatory administrative proceedings, including those in federal court and in connection with federal grand jury investigations and Medicare and Medi-Cal audits. Corporations and individuals in defense of qui tam investigations and litigation relating to allegations of government contractor fraud, defense procurement fraud, and health care fraud. Corporations and individuals before state and federal grand juries, and in connection with state and federal investigations, into alleged violations of environmental laws, including hazardous waste disposal, transportation of hazardous material, RCRA, CERCLA, and the Clean Water Act. Public officials before federal and state grand juries and in federal and state court for alleged violations of conflict of interest and public corruption statutes, including bribery, receiving and/or offer gratuities, conflict of interest, extortion, and conspiracy to commit these offenses. Individuals before federal and state grand juries and in federal and state court for alleged violations of public corruption statutes, including bribery, receiving and/or offering gratuities, conflict of interest, extortion, and conspiracy to commit these offenses. Corporations and individuals in connection with criminal, civil, and administrative proceedings, both state and federal, involving various regulatory and criminal statutes, including weights and measures issues, alleged violations of hazardous waste disposal and other environmental laws, misbranding allegations, customs investigations, false advertising claims, federal campaign contribution laws, and antitrust investigations. Corporations and individuals in criminal and civil tax investigations, including federal grand jury investigations, administrative IRS proceedings, jeopardy assessments, and tax court trials. Mark also has a wide range of experiences handling complex civil litigation. His clients have included corporations and individuals in federal and state court, and these representations have included partnership and shareholder disputes, matters involving breach of fiduciary duty and fraud, civil rights violations, copyright and trademark infringement actions, real estate disputes, involuntary dissolution proceedings, trust disputes, securities matters, and employment cases such as sexual harassment and wrongful termination. Mark also has represented companies for the purpose of investigating and documenting allegations of internal theft, embezzlement, and computer hacking, and filing requests for injunctive relief to freeze, protect, and recover assets. 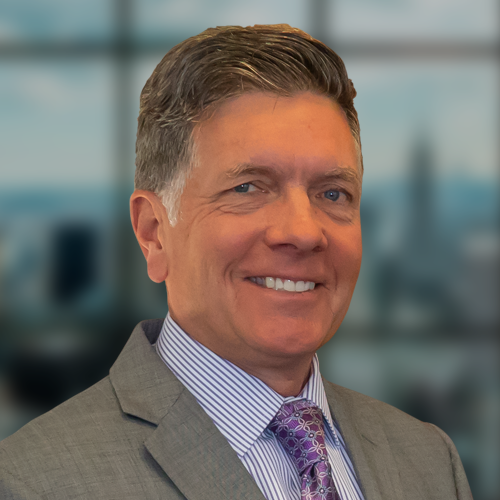 Mark also has extensive experience conducting internal investigations, he has developed corporate compliance programs for major corporations, and he has lectured on various topics at numerous conferences relating to his practice areas, including white collar crime, computer internet fraud and abuse, and employment discrimination and sexual harassment related issues. Prior to joining Paul Hastings, Mark served for ten years as an Assistant United States Attorney, Criminal Division, in the Central District of California. During his tenure at the U.S. Attorney’s Office, he gained extensive experience investigating and prosecuting a wide variety of white collar criminal matters, including securities fraud, health care fraud, bank and mail fraud, environmental violations, customs violations, tax violations, police corruption, Federal Food, Drug and Cosmetic Act violations, and money laundering and tax and financial reporting violations. After his service at the U.S. Attorney’s Office, Mark was a partner at Fainsbert, Mase & Snyder, LLP, where he founded that firm’s white collar practice, and also handled civil and tax court litigation, civil and administrative regulatory matters, and corporate internal investigations and compliance programs. Mark received his Juris Doctor degree in 1984 from the University of Notre Dame Law School, where he spent his second year at Notre Dame’s London Law Centre, and his Bachelor of Arts degree in 1981 from the University of California at Los Angeles. Mark served as a law clerk for the Honorable Harry L. Hupp, United States District Court Judge, Central District of California, during 1984-1985. Mark is active in professional organizations, including the American Bar Association (Criminal Justice Section and White Collar Crime Committee), the Federal Bar Association (Board of Directors and President 2003-04), the Los Angeles County Bar Association (Criminal Justice Section), and Chancery Club. Mark also has served as Deputy Counsel to the Rampart Independent Review Panel, the volunteer committee assigned the task of investigating and reporting on LAPD corruption in the Rampart area of Los Angeles. Mark was born in Los Angeles and is a fifth-generation Californian. Mark’s extensive ties to Southern California – in particular with the legal community – and his excellent reputation place him in a unique position to effectively satisfy his clients’ needs.